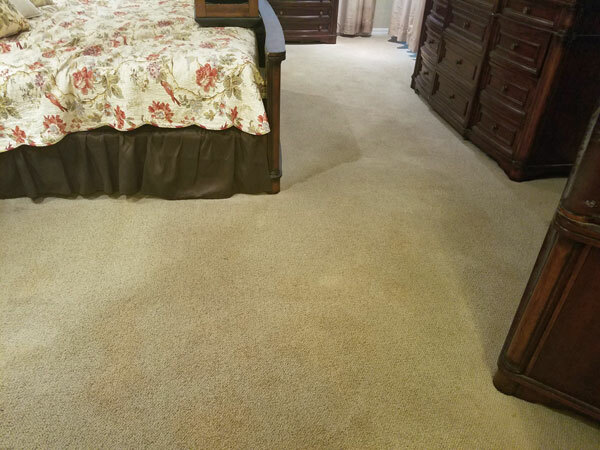 No carpet cleaning job is perfect, but we can make it better for sure. 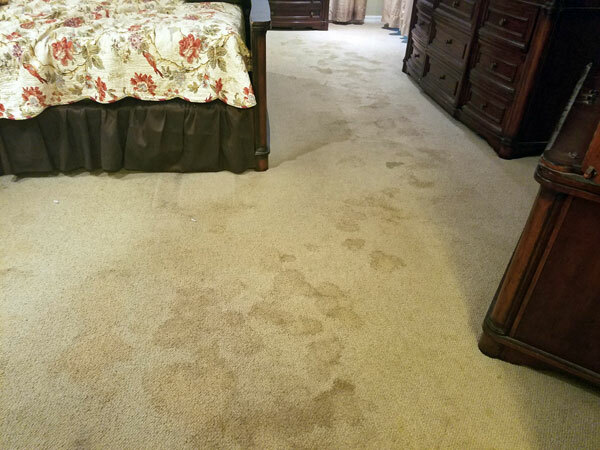 These photos are from a recent residential pet urine removal service in Wesley Chapel FL. Pets are family and we can't begrudge a few accidents from time to time and when you have several pets the problems can get amplified quickly. The good news is that Chem-Dry of Tampa has a very effective pet urine removal service to take care of these issues. Our pets go through a lot of emotions and they express them in many ways. Pets can convey what they are feeling by urinating indoors. It's not always that they are upset or stressed. It can be from excitement, from being happy to see you. While living in Wesley Chapel FL I had a poodle. Every time I came home she would squat right in front of me and urinate. She wasn't upset or stressed but happy to see me and too excited to contain her bladder. Pets can even convey when they are ill by urinating indoors. It's a pretty effective way of telling you something might be wrong biologically. The best way to remove pet urine is to do it while it's still wet. Getting to it quickly means you're likely to get most of it out before it becomes a problem. Once it dries it is a lot more difficult to deal with. If you're not urine deposits until after they have dried it's time to bring in a professional pet urine removal service to take care of the problem. We handle hundreds of these cases a year and know how to effectively rid your home of pet urine. for pet urine removal services in Wesley Chapel FL call Chem-Dry of Tampa.